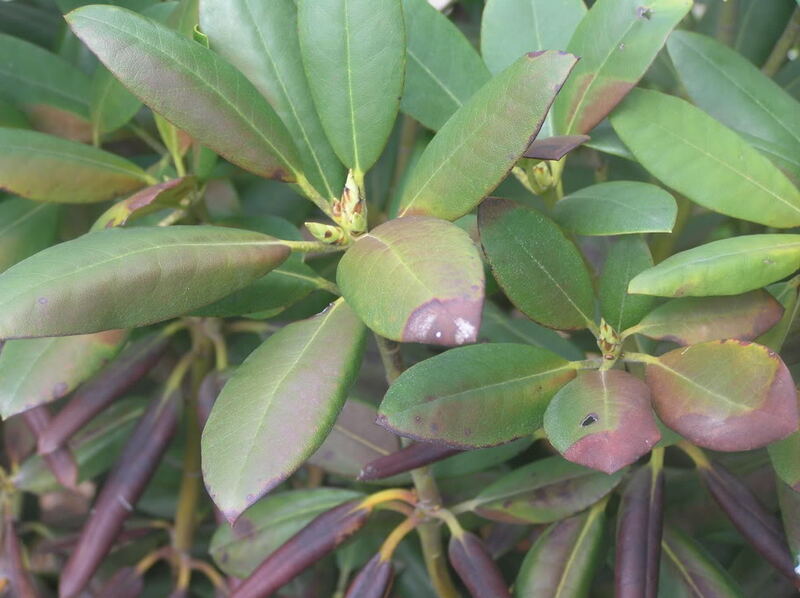 How can I prevent brown leaves on my Rhododendron? Brown leaves can be caused by too much chemical fertilizer. Mineral and salts are often used in these fertilizers. They are the cause (when wrongly used the plant will dehydrate and will burn. It is best to pick an organic diet that slowly dissolves and nutrition issues dosed. The Bergerie has specially designed fertilizers that provide the right nutrition for your Rhododendron. You can find these in our shop.